BRAINEFFECT develops high-quality performance food products to optimize your mental and physical performance. Based on the success formula „eat. perform. sleep.“ BRAINEFFECT makes innovative ingredients and training concepts from top-class sports available to sportspeople and everyday heroes for the first time. In cooperation with athletes, doctors and nutritionists, we have developed study-based formulas to take your mental performance to a new level. Our mission is to help you achieve your goals, concentrate better in stressful situations and optimize your mental regeneration. 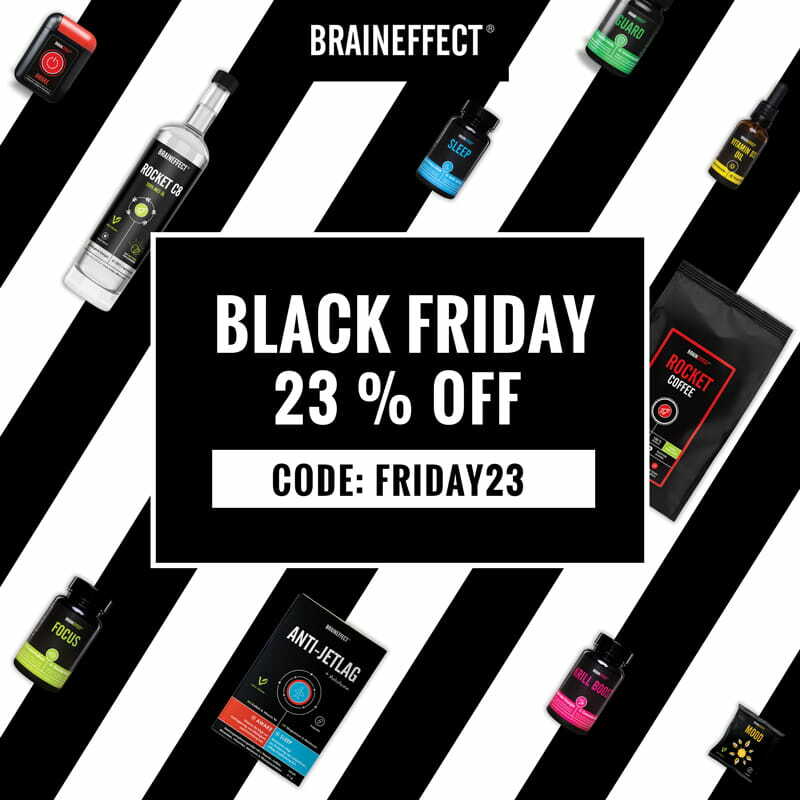 Enhance your performance with the ultimate Black WKND and Cyber Monday Deals from BRAINEFFECT and take care of your mental and physical performance.